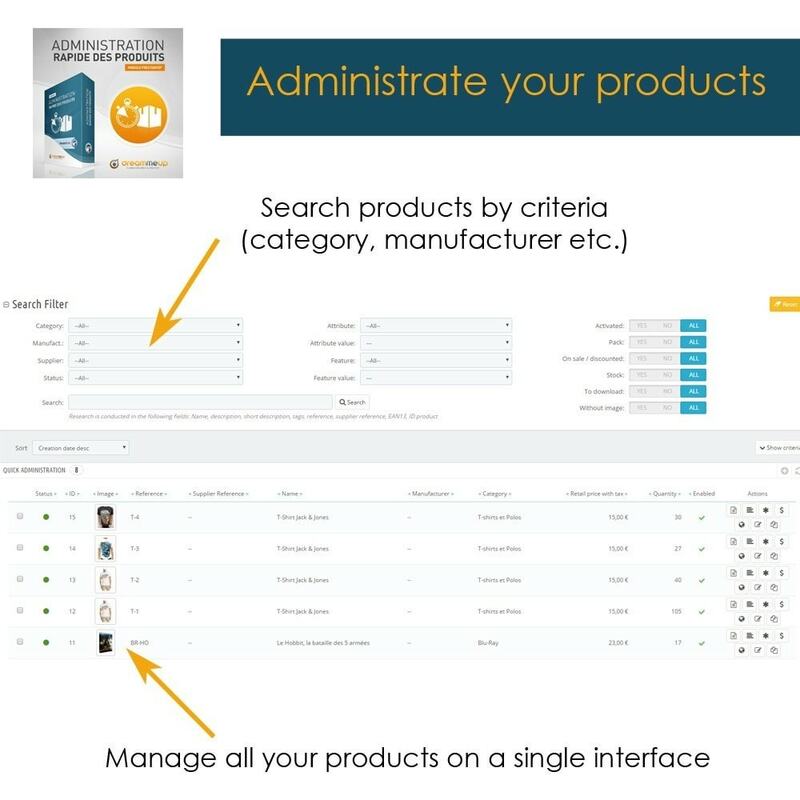 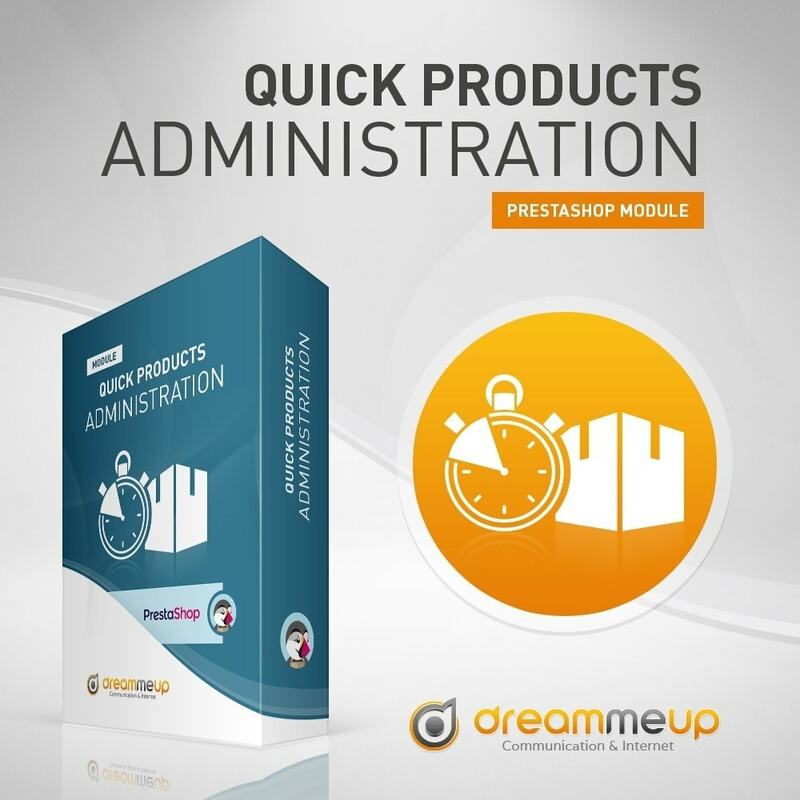 Quickly administrate your product database ! 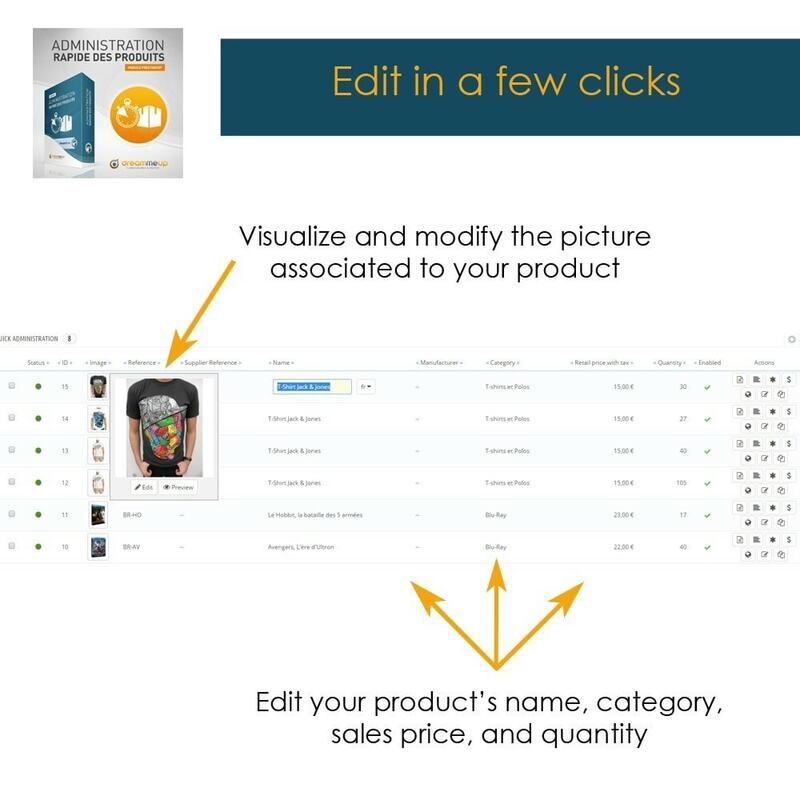 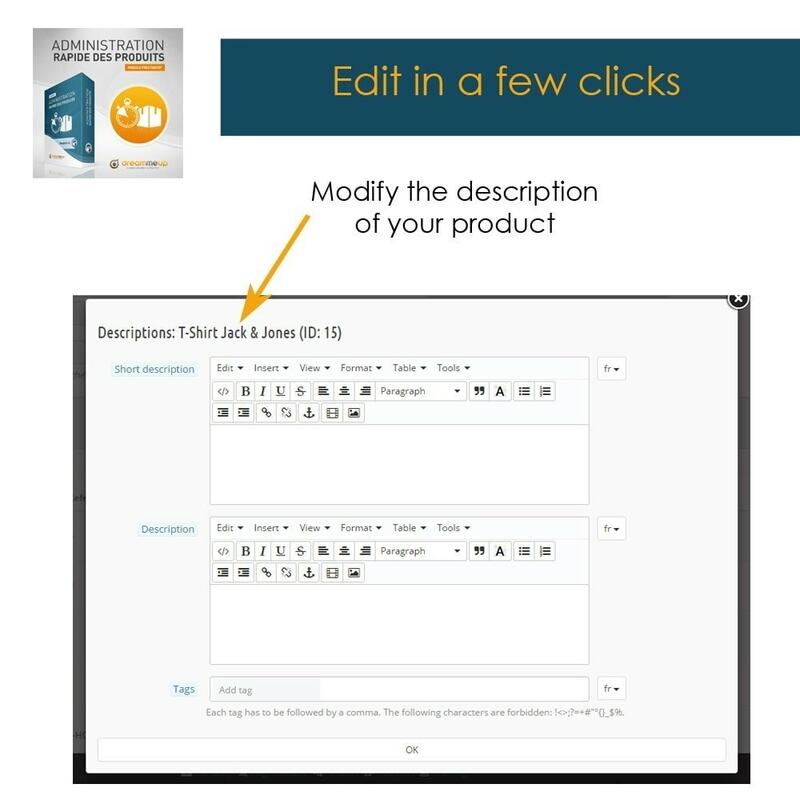 Make all your changes for products in a unique interface with a few clicks ! 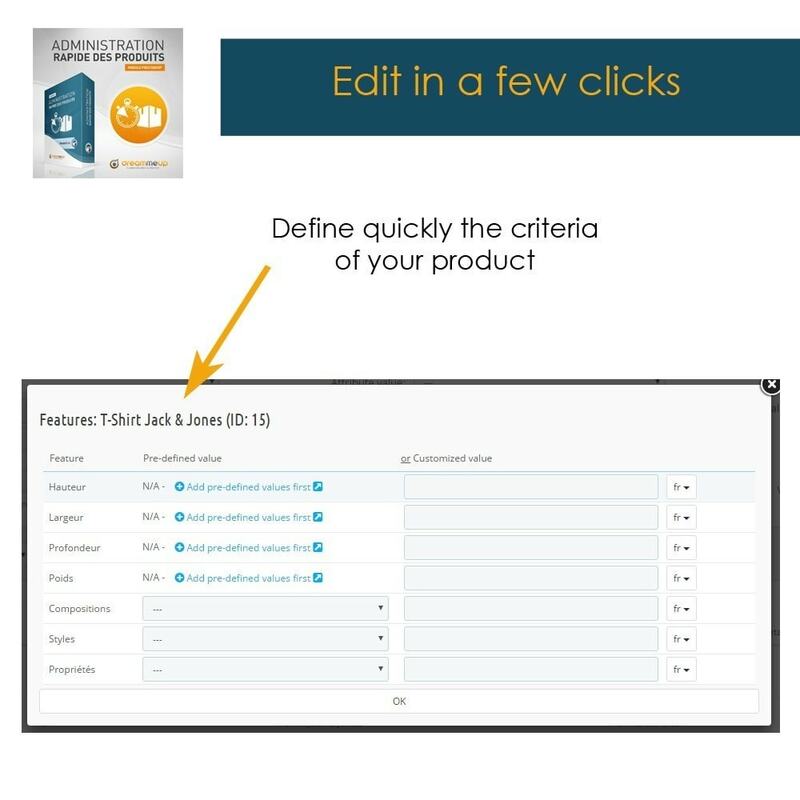 With a single interface, fully ajax (no page reload), you can search for your products on many criteria, but also manage in real time a large number of attributes. And all other criteria described below can be modified ! 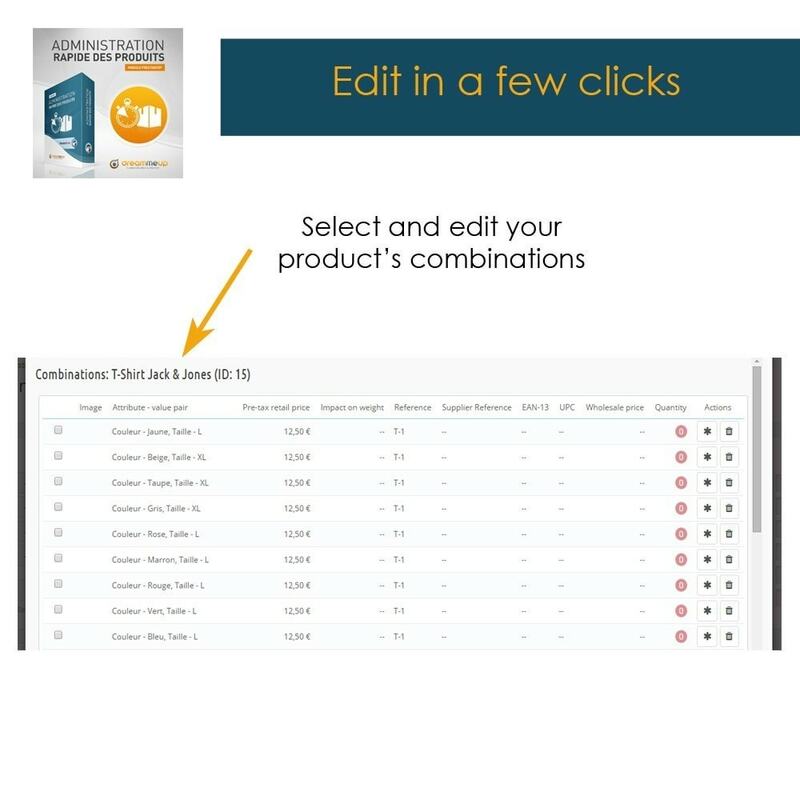 Possibility to choose which columns to display and the order for clarity. 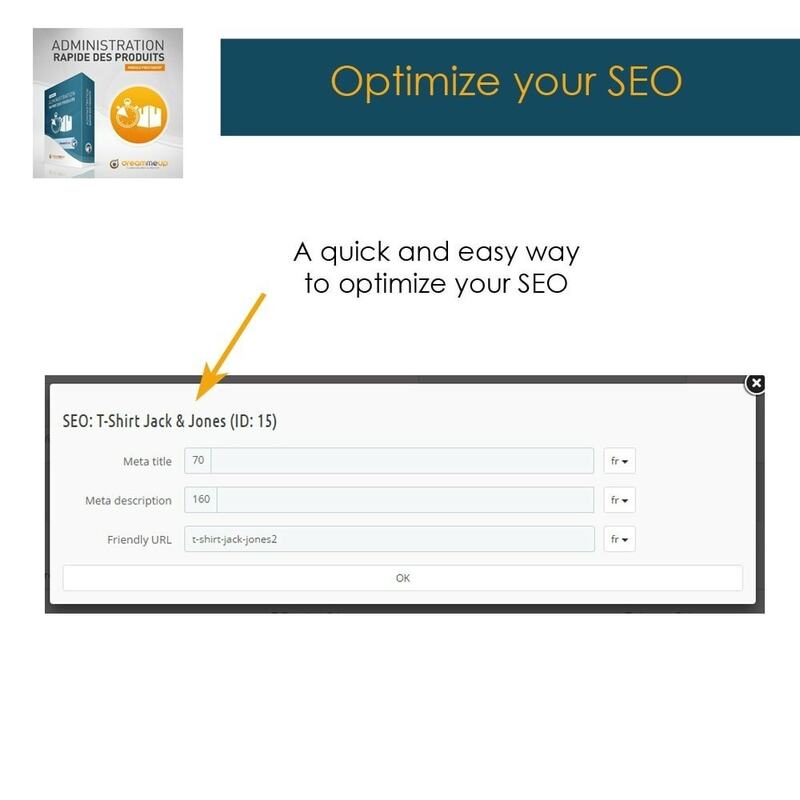 - SEO: title, description, keywords and simplified URLs. Almost all products fields are manageable, test in the demonstration area. 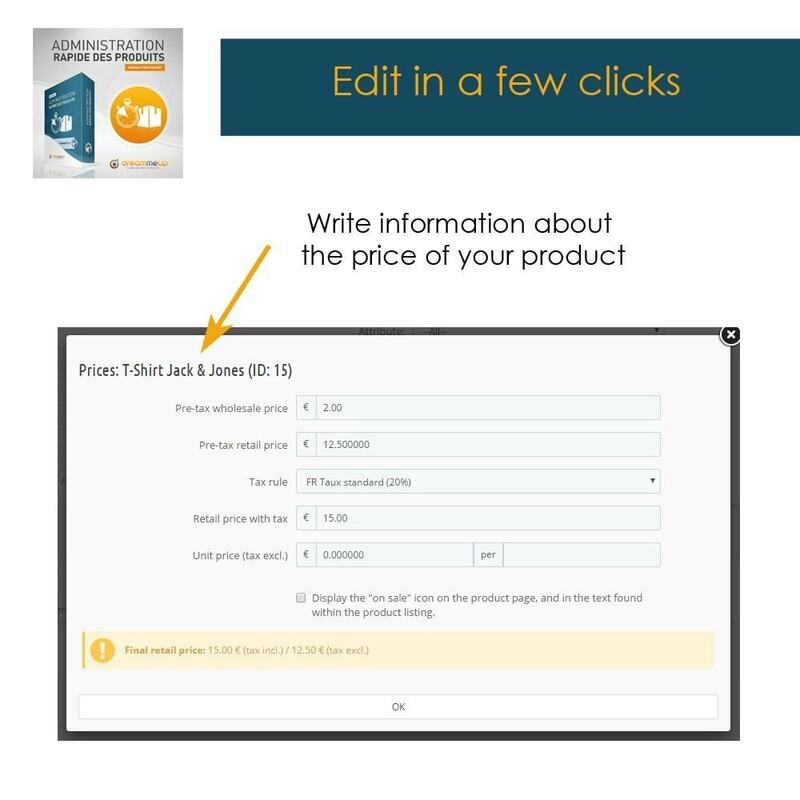 A button has been added to help you dupplicate your products. 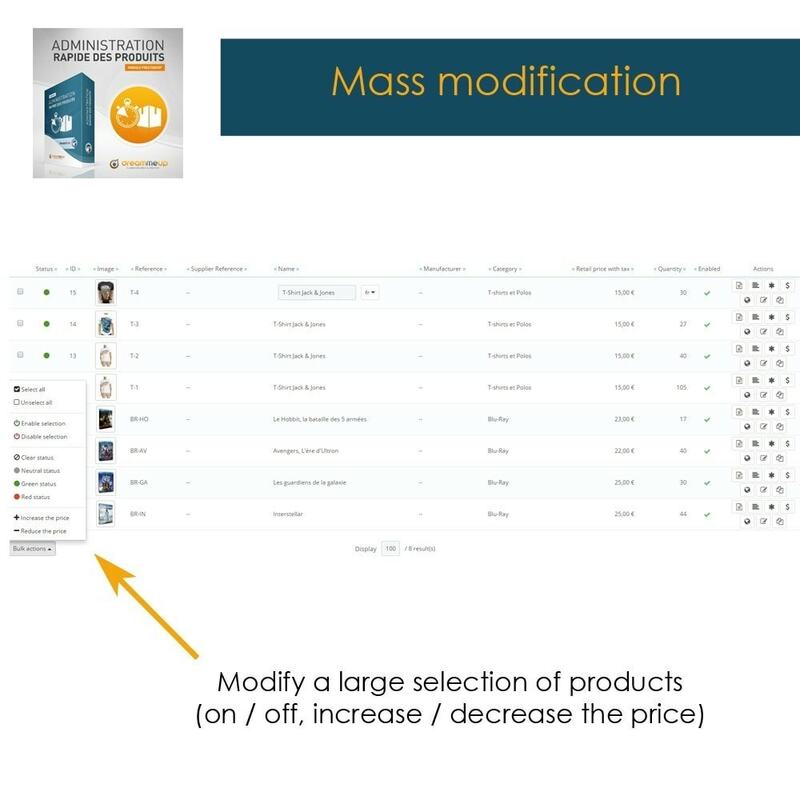 The module is now multistore.